ACE Tips: How to Mount Your Hydraulic Damper – ACE Controls Inc. 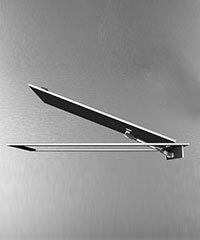 Hydraulic dampers are ideal anytime you need doors, flaps or hoods to close in a smooth, controlled way. 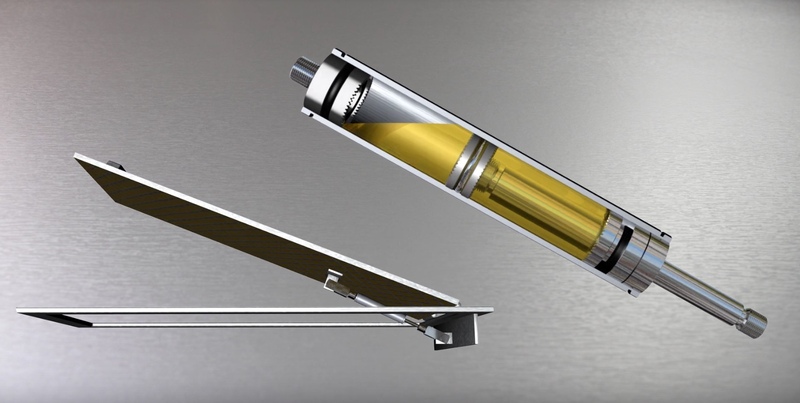 Similar to industrial gas springs, these components provide single or bidirectional motion control for a range of applications. They are also adjustable—letting you stabilize movement in both the push and pull directions—and easy to mount. In this post, we’ll provide you with some helpful tips on how to best mount your hydraulic damper—ensuring it operates safely and with minimal wear. Hydraulic dampers come in a wide range of sizes with different end fittings, strokes and compression and extension forces. Choosing the right one depends on the required damping direction—out-stroke only, in-stroke only or both directions—as well as the mounting conditions and weight of the flap. To assist you, experts can provide you with mounting points so the only thing you’ll need to adjust during installation is velocity. If the damping is too fast, simply turn the piston rod in the end position to the right to close the orifice. If the damping is too slow, turn the rod to the left to open the orifice. If you need to mount your damper outside, bear in mind that drastic temperature changes can change the viscosity of the hydraulic fluid. Fortunately, ACE dampers let you easily adjust your device to account for these changing conditions. ACE tips: To avoid free travel in the damping stroke, we recommend choosing a damper with a longer complete stroke or using an HBD damper, which does not allow for free travel. Improper assembly can cause damaging end-position wear. Proper assembly, on the other hand, ensures your flap will close with uniform velocity. Selecting the right hydraulic damper for your application has never been easier. To get started, check out our free calculations service.